Yes yes, the immense Parkway Drive will be here as part of their Unbreakable Tour! And as if that's not enough, they'll be joined by special guests Asking Alexandria! Tickets go on sale Weds 7th Sept, and you can set a handy reminder via http://bit.ly/2bJrSWc to make sure you don't miss out on tickets! The multi-platinum New York group celebrated the 20th anniversary of their debut album Come Find Yourself in 2016, and true to their hashtag #LoveYaBack, the Crims are feeling the love from the fans, so are doing it all again in February 2017 after a massive anniversary year, amplified by a summer full of headline festivals across Europe in celebration of a landmark album that inhabited the UK Album Charts for an amazing 100 weeks. 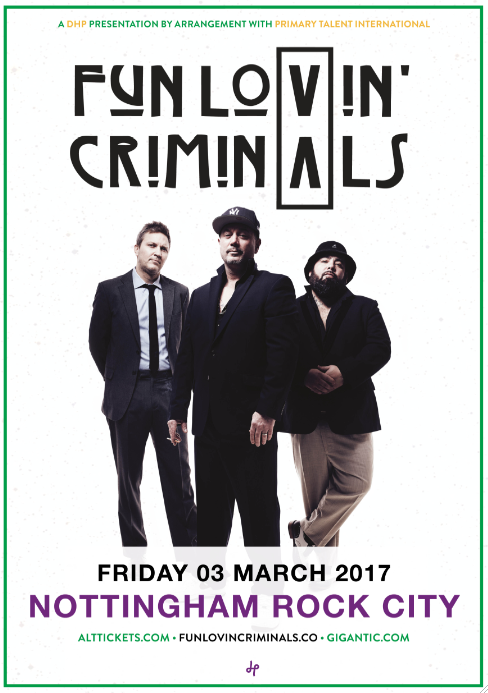 Fun Lovin’ Criminals burst onto the music scene in 1996, gate crashing the euphoric Brit-pop party with unforgettable finesse. Heralded for their generation defining blend of styles and effortless New York cool, FLC’s refreshing cocktail of rock n’ roll, funk, blues, soul, hip hop, jazz and latin, gave the Crims a unique timelessness that is still apparent three decades on. The Lower East side trio, consisting of founding partner Brian ‘Fast’ Leiser on bass, trumpet and samples and the groups longest-standing drummer Frank ‘The Rhythm Master’ Benbini, will be hitting the UK for a 12 date UK/IRE tour for, as the FLC song of the same name states; a Big Night Out. Testament to the Crims critical and cultural importance, 2016 also marked the year that the worlds most esteemed lexicographers officially added the term ‘Scooby Snacks’ to the Oxford English Dictionary, citing the famous lyrics to the global FLC hit single of the same name in the new edition. So there you have it, smart people dig FLC, so y’all should too. 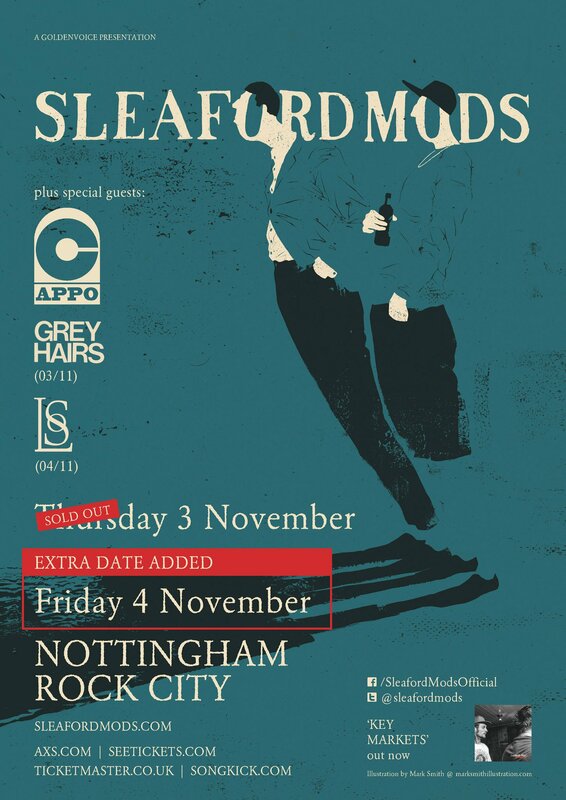 Nottingham's own wordsmiths Sleaford Mods are here for a huge sold out show on 3rd November, and now due to demand we've managed to get them in for a SECOND NIGHT on the 4th as well! 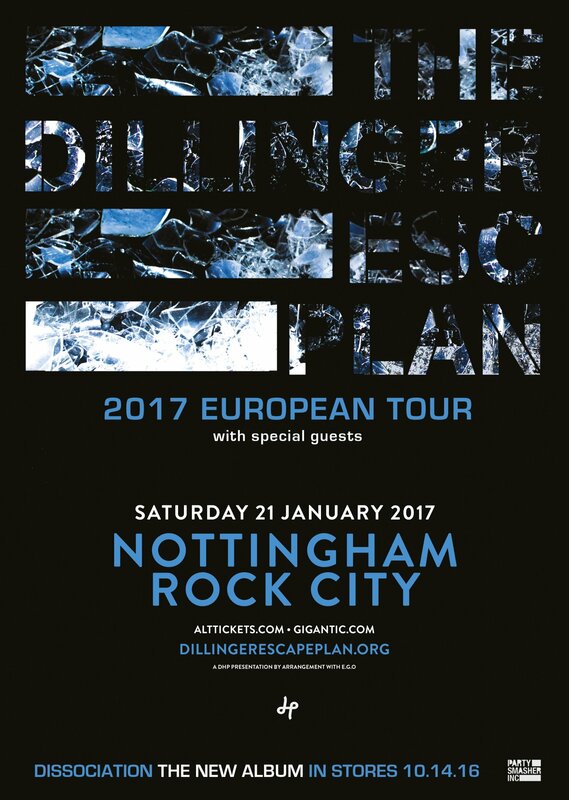 "It is with GREAT PLEASURE that I can finally announce some more tour dates for the UK. I know, I know, it’s been a long while since we were on home turf. And last time we toured the UK we only played the major cities. So, as is becoming tradition, this time we are hitting some different places, taking the show around the country to see some different people. Of course I can’t ever please everyone, but this is an attempt to cover as much ground as I can this year. 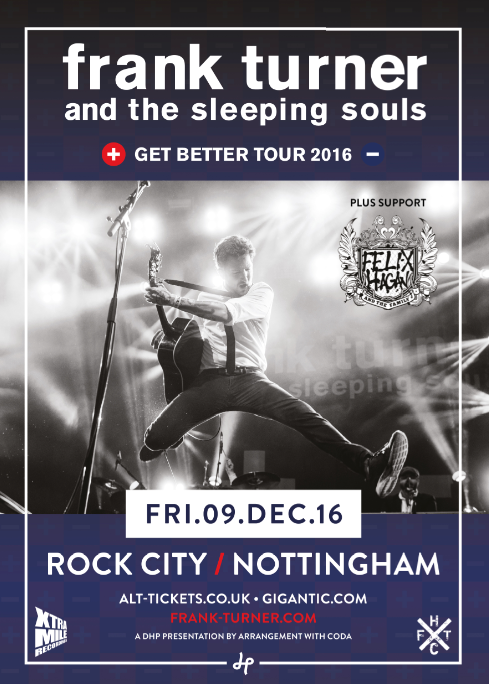 Support comes from the amazing Felix Hagan & The Family, and the sublime Esme Patterson. Both hand-picked, both awesome, get down early to catch their sets." A limited number of our Post-Game with Simple Plan Ticketless VIP Upgrade packages are available now for each of the Taking One For The Team EU Tour dates, giving you the chance to hang out backstage with Simple Plan after the show. To purchase this package you MUST have already purchased a ticket to attend the tour date. This is a ticketless package, an experience, not a ticket. What does this Post-Game with Simple Plan include? - Go backstage for aftershow pizza and refreshments. - Meet and take selfies with Simple Plan. - One Limited Edition Tour Screen Print, signed. - One Post-Game Party Laminate. - Group Photo (which we’ll email to you as well as post on Simple Plan’s Instagram!) will be taken. - Early Entry into the venue. - Early Access to merch. Get them here: http://tickets.onelivemedia.com/events/22052 to purchase for UK dates. Each package is 70 GBP (plus service fee) and gives access for one to the Post-Game with Simple Plan After Party at the venue. Packages are not transferable. When purchasing, please make sure to use the name of the person who will be attending so that there are no issues checking in. Each person entering the Post-Game after party needs to have a Post-Game with Simple Plan Ticketless package- packages can be purchased together if you are attending together, they do not need to be purchased separately. No additional guests. No parental escorts in the Post-Game with Simple Plan without their own package. To be clear- This package does NOT include a ticket to the show. 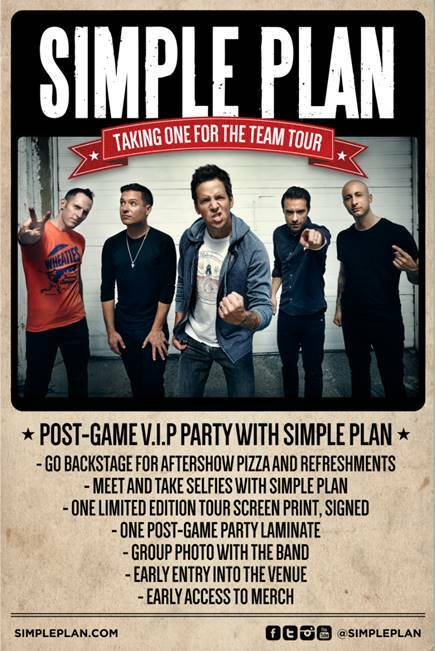 You must have already purchased a ticket to attend the date in order to participate in the Post-Game with Simple Plan.